Israeli Prime Minister Benjamin Netanyahu's leading challenger in his heated race for re-election is trying to play down an embarrassing phone hacking scandal that has erupted just as the ex-general is sliding in opinion polls. 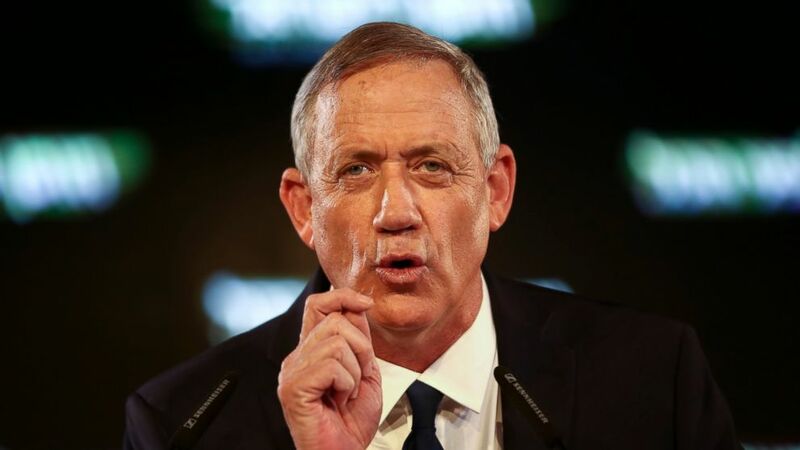 Benny Gantz's campaign confirmed late Thursday that the former military chief, who has been campaigning on his security credentials in a bid to end Netanyahu's decade-long rule, was the target of an Iranian hacking attack several months ago. It was not clear what information Israel's archenemy had obtained from Gantz's smartphone. His campaign said the security lapse occurred months before he entered politics and suggested the leak was a politically-motivated attempt to embarrass him ahead of April 9 elections. The revelation splashed across the internet, sending his new Blue and White party reeling. Gantz convened a surprise press conference Friday from Israel's southern border, where he tried to divert attention to recent violence involving Gaza militants. Gantz has pointed to his leading role in the 2014 Gaza war as proof of his toughness. "We're fighting for our home and our struggle for democracy and ethics here," Gantz said, chiding reporters who asked about the hacking. "The phone is not the story..I ask you all to be serious enough to deal with what's important." Gantz provided few details about how he was hacked or what type of information might have fallen into the hands of Iranian intelligence. He attempted to play down the scandal as "merely unethical prying." But the scandal is unlikely to disappear. In a front-page analysis Friday, Amos Harel, a commentator for the Haaretz daily, argued that news of the breach could have far-reaching consequences, sending Gantz's party to "unforeseen lows." After Gantz's maiden political speech and merger with another centrist party, his campaign surged in popularity. Opinion polls showed his alliance gaining against Netanyahu's Likud party, especially after Israel's attorney general recommended that the prime minister be indicted on corruption charges. But more recent polling indicates waning enthusiasm for Blue and White, with Likud holding steady.